For those who believe in silver linings and happy endings and, yes, even destiny, let me share a little story with you. 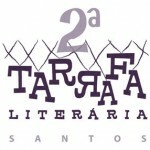 In 2009, I was invited to appear at the Tarrafa Literária festival in Santos, Brazil. I was tremendously enthused by this opportunity. I prepared a spectacular speech and packed some natty suits. Then, I got to the airport and they didn’t let me on the plane. I didn’t have a Brazilian visa. Who knew Canadians needed visas to get into Brazil? Obviously, I was disappointed and indulged a decent bout of self-loathing for having screwed the trip up and let down the festival organizers. I was in the midst of my year as a stay-at-home father and I was already anxious that I was letting my career slip; now, thanks to my own blatant boobery, I had given said career a helpful kick down obscurity slope. 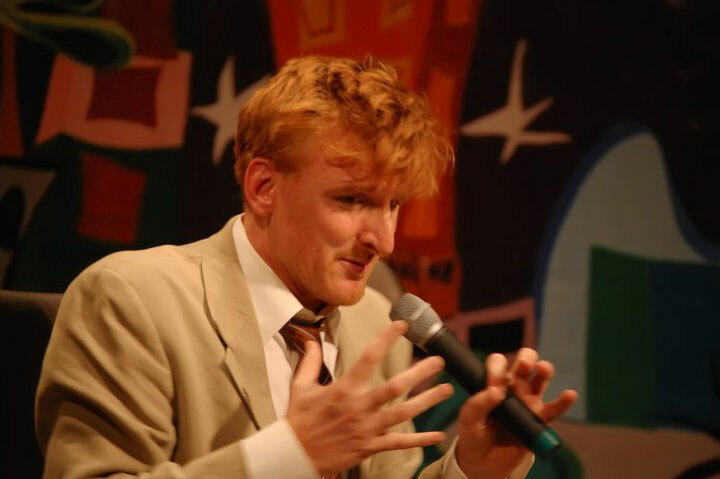 Miraculously, the festival invited me again in 2010 and this time I aced it: I got my visa, I packed my suits, I prepared my speech, and I was off to Brazil. It turned out to be the perfect moment. The 2009 trip was going to be squeezed in after a family reunion in Canada and a romantic trip to New York City with my girlfriend (I proposed!). In addition, my daughter wasn’t even a year old at the time and I found it difficult to be away from her for more than a few days at a time. If I had gone to the festival in 2009, it could well have been with an exhausted soul and half my heart back in Marseille. 2010? Not only was I emotionally prepared for the trip, I had just finished a series of major articles and needed a break, a relaunch if you will, before I hunkered down and began serious work on another book. The Brazil festival was the perfect adventure. Besides the personal synchronicity of the timing, I also arrived in the midst of the elections that would see Lula da Silva eventually replaced with his protégé Dilma Vana Rousseff. The politicking – and the inflatable politicians – added to the buzz of moment. 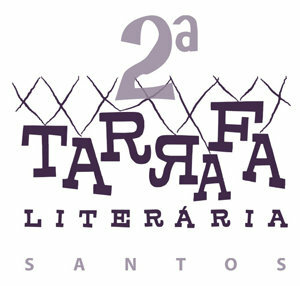 What really made an impression on me was the vibrancy of the Brazilian literary scene. In Europe and North America, it seems we are constantly wringing our hands over declining readership and bankrupt bookstores. In contrast, Brazilian writers and publishers seem to be bursting with optimism, mirroring the confidence I encountered across the country. In the space of 10 days, I met more than a dozen Brazilians under the age of 30 who were either writing a novel or starting a business. There is a temerity and chutzpah among young Brazilians that is sadly missing in France today. 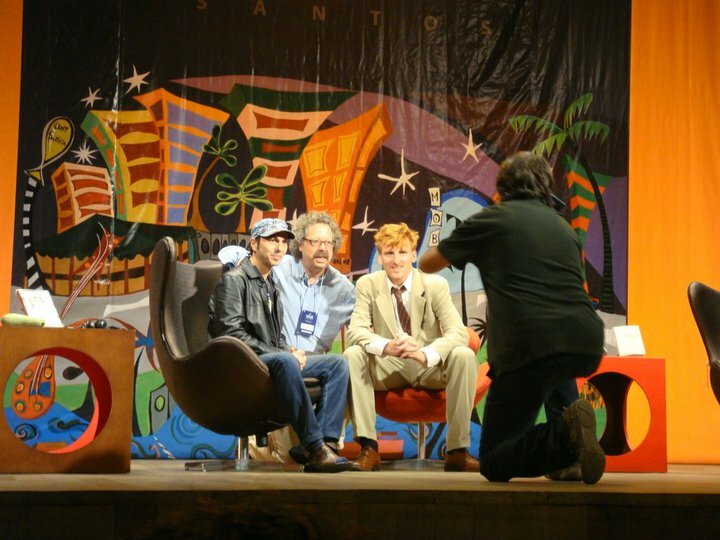 The festival had two international guests. Along with me, there was Mark Crick who wrote an absurdly successful trilogy of books that parody the writing styles of famous authors while imagining their favourite recipes or household repair tips. Having seen how damn handsome he was in his author’s photo, I was prepared to dislike him on the principle that beautiful people are inescapably unlikeable. Alas, he turned out to be wonderfully kind and astoundingly funny and perpetually interesting. He also reminded me of my cousin Mike Olson. Impossible not to like him. Along with gigging, Jose also works at the Santos port, which is the busiest container port in the southern hemisphere. (Though, in a reflection of the distribution of both land mass and economic might, Santos is only the 40th busiest container port in the world.) Jose’s job is to plan the arrangement of the containers as they are placed on container ships. It is an intriguing job, akin to solving puzzles, because you have to consider both the weight of each container for over all balance and the destination of each container so that they can be unloaded in proper order. Coming from Marseille, I have a huge port addiction which is why I took the video above. Then there is this guy. Zé. 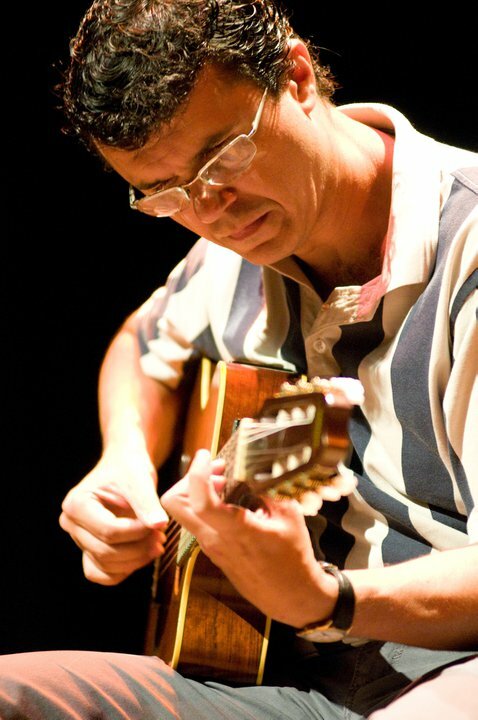 Or José Luiz Tahan. A dynamo. 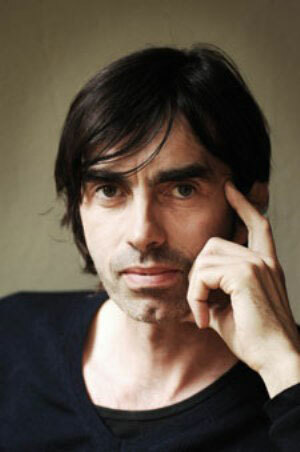 He is the founder of the festival, a bookstore , and a publishing house. It’s an amazing amount to juggle but he doesn’t seem to even understand the concept of stress. We have a hefty wager in place: whenever I end up back in Brazil, we will sit down together and see if I speak better Portuguese or he speaks better English. The winner drinks and eats free for the night, which as the table above attests, could be quite an expensive proposition. I am also forever in Zé’s debt because he organized a football (soccer) match at the training grounds of F.C. Santos, one of the biggest clubs in Brazil where Pelé played and modern stars like Robinho and Neymar honed their game. It was my first real football game with nets and corners in my conscious life and it was utterly beautiful. It even evoked *this* tearful moment. I love Zé, I really do. When the festival was over, I headed up to Rio to meet my Brazilian publisher. It was another fortuitous moment because I am writing a book about Christian traditions in Provence and I learned my editor is a faithful Catholic named Martha who made a pilgrimage to Provence to visit the town where Saint Martha’s relics are kept. Adding to the glory of my visit to Rio, I got to stay in the lush InterContintental hotel (like Britney Spears, my cab driver informed me), but I think this is because the rooms were super cheap because a gang from the neighbouring favela took refuge in the lobby during a gunfight a few weeks earlier and there was a fair bit of violence and shrapnel and bad press. Indeed, violence is in the air in Rio. But so are monkeys. 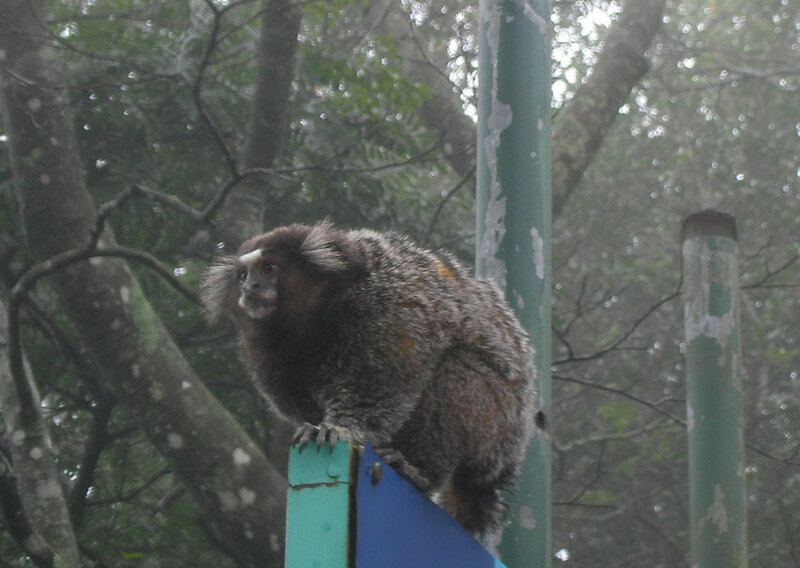 And, hell, in the rock-paper-scissors game of Jeremy Mercer tourism, monkeys beat violence. So, I love Rio. My last day in Brazil, I had organized for a cab to drive me up to see Cristo Redentor, but it turned out to be overcast. With the low clouds, the driver suggested it was a waste of time and money, that there would be nothing to see. Let’s try anyway, I said. When we got up to the top of the mountain, we were the only people there. The tranquility was sublime. And even though the statue of Jesus was cloaked in fog, I could still make out a bare silhouette. It was tremendously inspiring for me. Researching early Christianity means I am constantly grappling with the character and identity of Jesus and to be confronted with this vague, tenebrous image epitomized my understanding of Him. 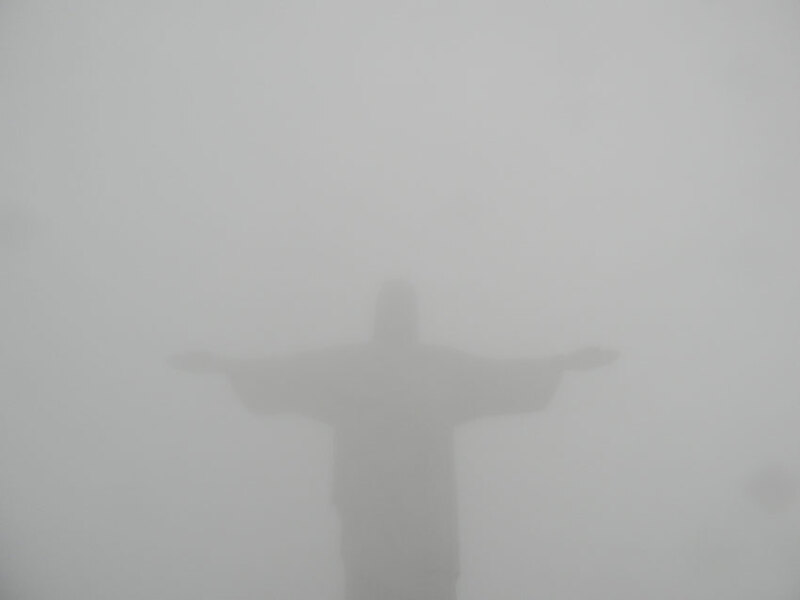 As we drove back down to Rio, the taxi driver said he had been up to Redentor more than 100 times and had never seen the statue so shrouded or felt such silence and peace there. Normally it was a chaos of tourists and noise and helicopter flybys. Heading back to Marseille and the Christian texts that awaited me, I couldn’t help put feel this was the perfect ending to the perfect trip. After missing the festival in 2009, people tried to assuage my despair by telling me things happen for a reason. I am an optimist by nature and I do believe that if one swims with the currents on the river of life, good things tend follow. Still, those words provided no comfort back in 2009. Now, they resonate deeply.